please note that Culinary Argan Oil is not a confirmed treatment or cure for diabetes. On this page we present information and links to studies into potential beneficial effects Argan Oil for diabetes. In 2010 25.8 million Americans had diabetes. By 2012 this had increased to 29.1 million people – 9% of the population. Sedentary lifestyles, unhealthy eating and obesity are creating unhealthy blood sugar levels. This has lead to an epidemic of diabetes. Research revealed that Culinary Argan Oil, and nut oils, have a significant effect on body mass index and weight gain. By some process they seem to counteract high fat and high in sugar diets that manage insulin resistance. 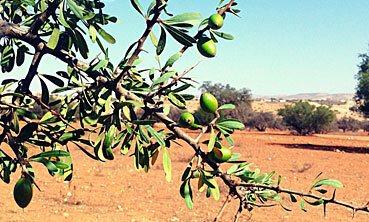 Argan Oil is rich in nutrients such Triterpenes . These are already known for their useful role in management of Diabetes mellitus and its complications. Type 2 diabetic patients have a higher level of cardiovascular risk due to a process known as lipid abnormalities and lipid peroxidation. By isolating fractions of interest and testing for specific responses researchers confirmed a link between bio-active components in Argan Oil and insulin sensitivity. A second study worked with Argan “press cake” and Argan Oil to measure their bio-activity when applied to living cells. Cells were treated with Argan nut extracts for 6 or 21 h and their responsiveness to insulin was then tested. A child is 400 times more likely to develop type 1 diabetes if it lives in Finland vs Venezuela. A 30-year study of over 10,000 Finnish children showed that those that were given vitamin D supplements during infancy had a nearly 90 percent lower risk of developing type 1 diabetes than those who did not. This and other European studies suggest that vitamin D helps protect against type 1 diabetes. Added to foods and taken with meals. A study was made by the American Diabetes Association into vinegar which can significantly improve postprandial insulin sensitivity in insulin-resistant subjects. Acetic acid raises glucose-6-phosphate concentrations and suppresses disaccharidase activity in skeletal muscle. A meta-analysis of 8 trials was done to test the effectiveness of cinnamon for lowering Fasting Blood Glucose Levels (FBG). The analysis reviewed studies using whole cinnamon or cinnamon extract. The analysis showed a statistically significant lowering in FBG (-0.49±0.2 mmol/L; n=8, P=.025) in people with type 2 diabetes or prediabetes. Where to Buy Organic Argan Oil for Health? 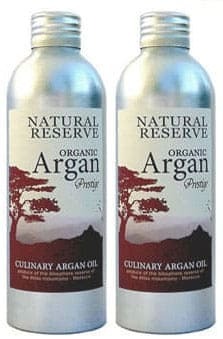 Buy certified organic culinary Argan Oil products and view our latest special offers on our web store. You can also buy directly from some of our web pages where you see the add to cart buttons. Our prices include Free Delivery World-Wide and our products are supported by our money back guarantee. Acute and chronic toxicity of saponins from Argania spinosa].Alaoui K, Belabbes M, Cherrah Y, Hassar M, Charrouf Z, Amarouch H, Roquebert J Ann Pharm Fr. Hypponen E, Laara E, Reunanen A, Jarvelin MR, Virtanen SM. Intake of vitamin D and risk of type 1 diabetes: a birth-cohort study. Lancet. 2001; 358:1500-3. Zipitis CS, Akobeng AK. Vitamin D supplementation in early childhood and risk of type 1 diabetes: a systematic review and meta-analysis. Arch Dis Child. 2008; 93:512-7.